Love that top!! 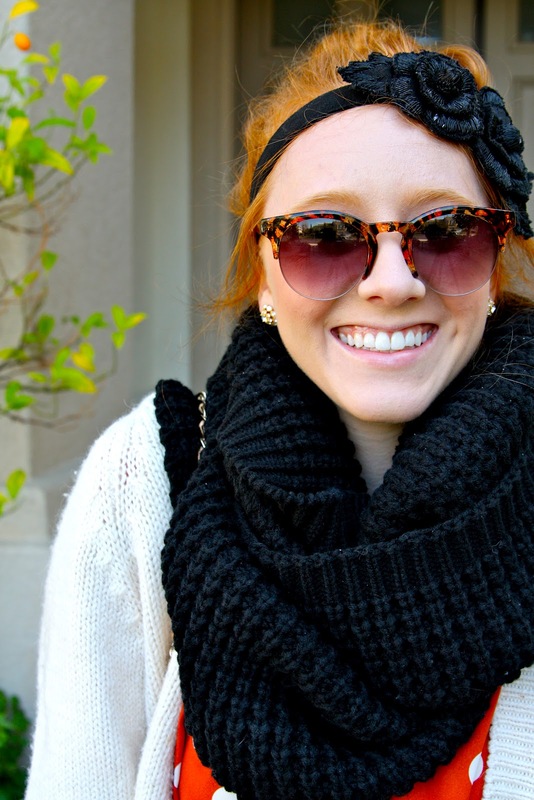 and the mega scarf is my fav :) great blog you have here!! super cute! i love your shirt!! polka dot everywhere ! niiiiiiiiiiiiice !! i just LOVE all of your accessories! you look fab, glad you had a nice day off! your look is so fun! I love your outfit, but isn't it still quite cold where you are? I'm sure it is freezing! Oh! Kaitlin you are so beautiful! That polka dots red top is just perfect on you!!! girl...you are always so photogenic...LOVE IT!! the polka dot top is AWESOME!! 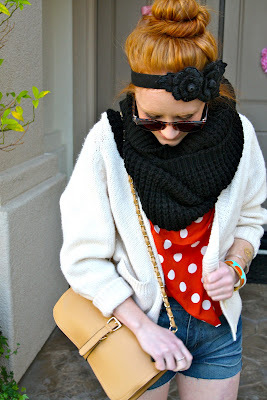 I love how you accessorized the entire look!! Your cuff and top are the perfect pair! Loved your dotted mani on Instagram! 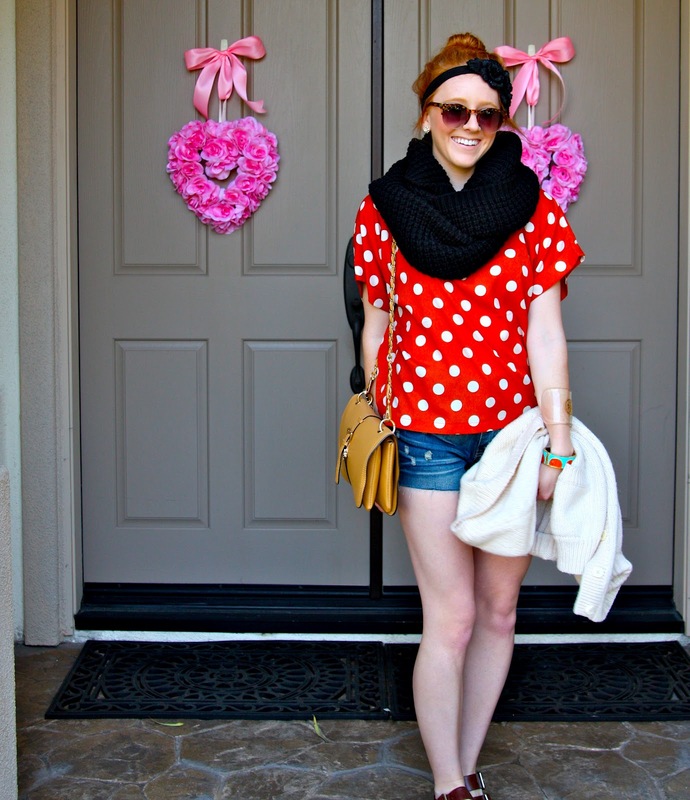 Your posts always have such great colors and prints! 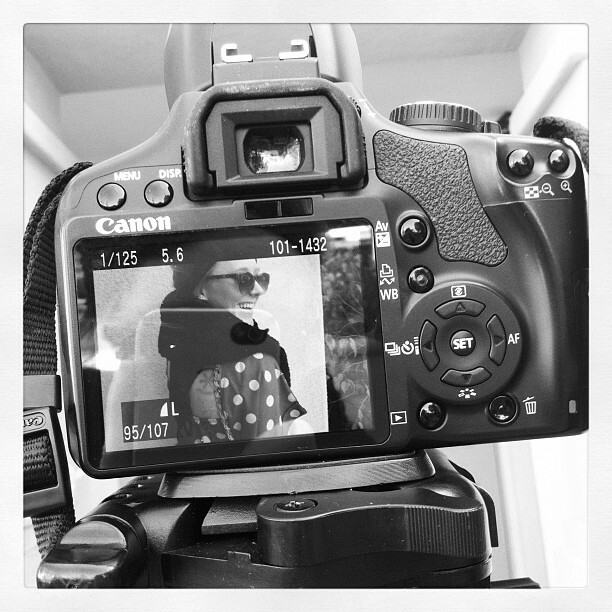 Are you shooting with a 60D by any chance? You look so playful and CUTE! you look so freaking adorable i can't stand it! Oh, your hair - your gorgeous, gorgeous hair. It gets me very time :) I love the combination of your red blouse with turquoise accessories (and nails! ), too. Definitely my favourite contrasting colour combination and it looks so, so lovely on you. okay you need to STOP! 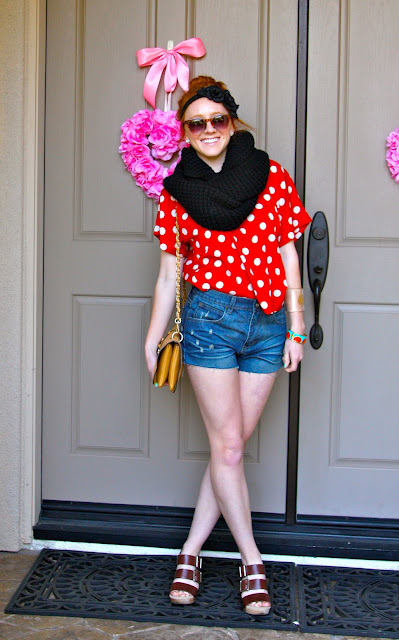 you are just so cute... love love love polka dots too (actually my post today is on them)! You're adorable honey! 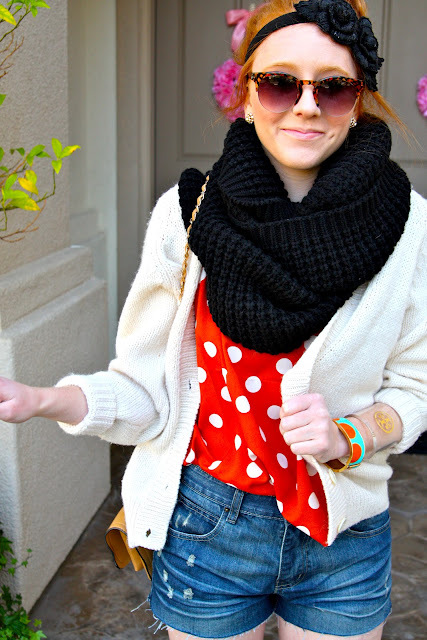 Love this super chic and vibrant look...polka dots have my heart too! Such a girly mix! you have such a genuine smile and it makes you look beautiful in photos! love the polka dotted red top and i can't forget the color of our nails.. to die for! SOO cute! I love how the top is open in back and I love the bracelet!!! Lovely look! 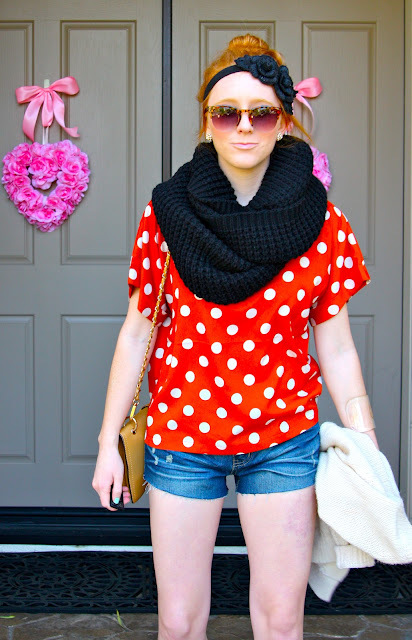 I too adore polka dots!! 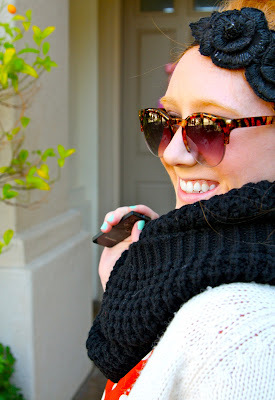 PS: Come enter my giveaway! MINNIE MOUSE!!! I love it and would definitely wear that. I can't believe that you're over there wearing shorts and I'm freezing my bum off even in a huge winter jacket and long johns (ew). You are such an inspiration to me! So cute I want to cry. Love the vibrant colors! lovely photos I love your polka top.